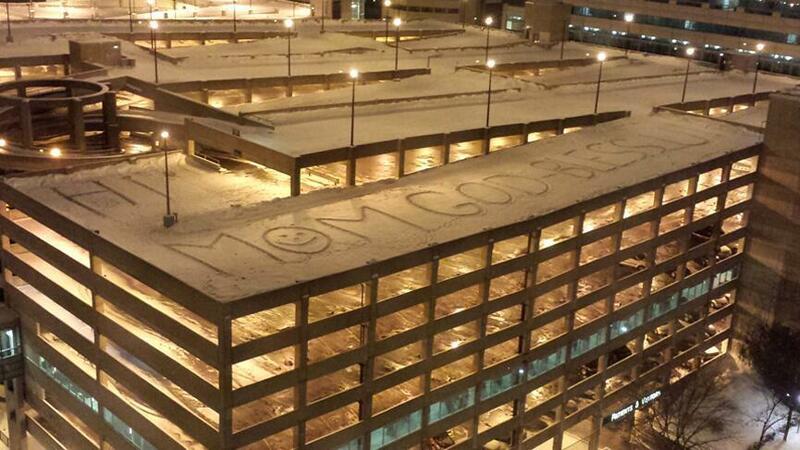 On Sunday, Rush Medical Center’s parking garage bore the message “Hi Mom” stomped into the layer of snow. Complete with a smiley face in the “O”, William Hart’s message could be seen from his Mom’s room where she was undergoing chemotherapy. Previous Post: Tom Attwater Is Dying. His Daughter Might Die, Too. The Letter He Left For Her Is Unforgettable. Saw this on TV this morning, how awesome is that! What a gift this young man gave his mother and everyone else who saw it!